The approximate height of the mountain range is 2,200 m with Titov Vrv being the highest peak (2,747 m). It begins with the River Lepenec and with the peak of Ljuboten, 2,499m. It ends with Morava summit, 2,147m, and Lake Mavrovo. Shara Mountain massif belongs to a group of young mountain chains and is characterized by a mountainous climate with cold winters and pleasant summers. At an elevation of 1,300 m the snow averages a depth of 1m and usually lasts for four months. The Eyes of Shar Mountain, as its glacial lakes are popularly known, are its special characteristics. There are 25 lakes that are constant, over 150 occasional lakes and as many smaller ponds. The water potential of this massif is huge and it has 200 springs of pure water. Among others, the mineral richness is represented by manganese, iron, chrome, molybdenum, and copper. The massif is very rich with flora and fauna. It has an abundance of high-mountain pasture of about 45,000 hectares and high-trunk conifer woods. Fir and juniper trees are most common, and in the lower parts beech and chestnut forests are plentiful. Shar Mountain is a large massif that features a variety of habitats, home to around 2,000 different plant species. The total number of vascular plants in Macedonia is around 3,700 species; therefore Shar holds two-thirds of the national plant diversity. Additionally, with nearly 200 endemic and sub endemic plant taxa, this mountain is an important Balkan and European centre for floral endemism. The flora of Shar Mountain is very diverse and interesting. Here, you can see species from arctic and sub-Mediterranean regions. The arctic species are unique, in that they originated from a former geological epoch – and are known as glacial relicts. Shar Mountain is a perfect home for some of these glacial relicts that adapted to survive in harsh weather conditions such as cold winds and snow throughout most of the year. 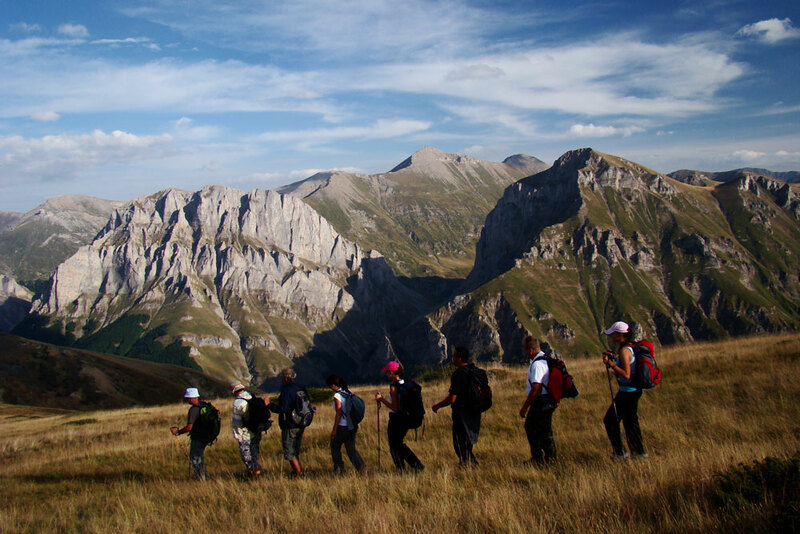 The fauna of Shar Mountain has over 44 species of wild animals, which are present on this mountain including the critically endangered Balkan lynx, bear, wolf and the Balkan chamois. Eagles, falcons, and hawks are also common on Shar Mountain. Although not as numerous as in the 1950s, the mountain pastures are still grazed by domestic breed of sheep. They are guarded by the widely known Sharplaninec, a shepherd dog which is a symbol of this mountain and is named after it.